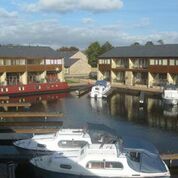 Tewitfield Marina is a purpose built hamlet in Carnforth with its own luxury holiday accommodation complex. 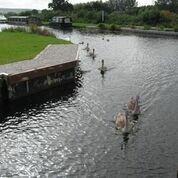 Situated on the Lancashire/Cumbria border alongside Tewitfield Locks on the Lancaster Canal, we provide our guests with the perfect stay with the Lake District and Yorkshire Dales less than 30 minutes drive away. We offer a selection of 1 bedroom apartments as well as 2,3 and 4 bedroom townhouses fitted out to the highest standard offering you a luxurious home away from home, with all linen and towels provided. All self-catering units come fully equipped with a fitted kitchen with dishwasher, washing machine, fridge/freezer and microwave. 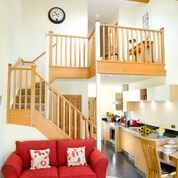 Our cottages also feature flat screen T.Vs with Freeview, DVD player, TVs in every bedroom and solid oak furniture throughout. 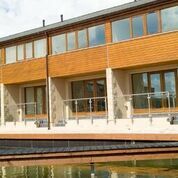 Each unit also has its own private patio/balcony and car parking space. Within the immediate vicinity there is a welcoming country pub and restaurant, the Longlands Hotel, serving delicious, homemade food and Greenlands Farm Village with its own crafts, bakery and butchers shop as well as a cafe where you can sample the local produce.